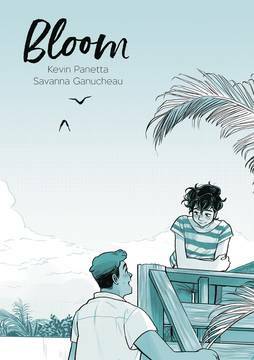 A thoughtful and endearing gay YA romance set in a bakery Now that high school is over, Ari is dying to move to the big city with his ultra-hip band, if he can just convince his dad to let him quit their struggling family bakery. Though he loved working there as a kid, Ari cannot fathom a life wasting away his days over rising doughs and hot ovens. But in the midst of interviewing candidates for his replacement, Ari meets Hector, an easy-going guy who loves baking as much as Ari wants to escape it. As they become closer over batches of breads, love begins to bloom . . . that is, if Ari doesn't ruin everything. Writer Kevin Panetta and artist Savanna Ganucheau concoct a delicious recipe of intricately illustrated baking scenes and blushing young love, where the choices we make can have terrible consequences, but the people who love us can help us grow..